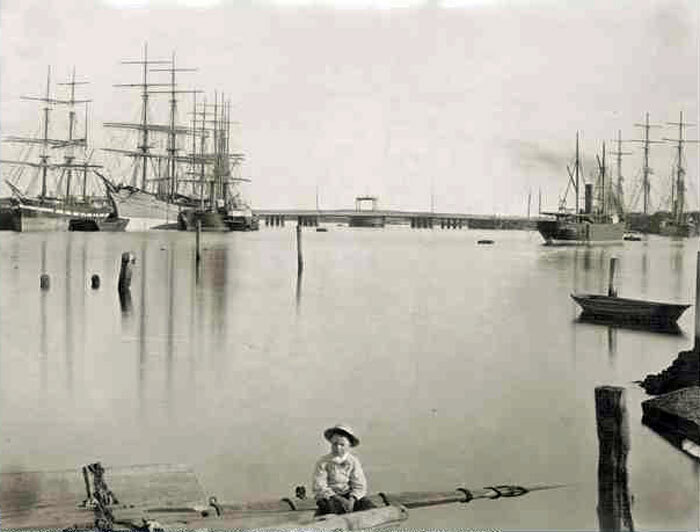 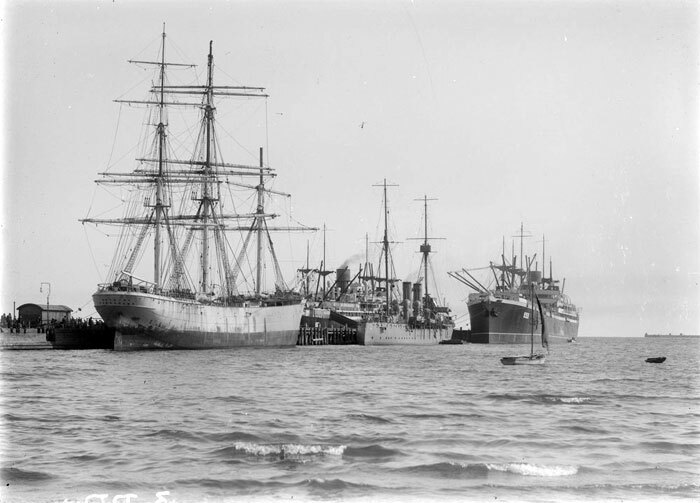 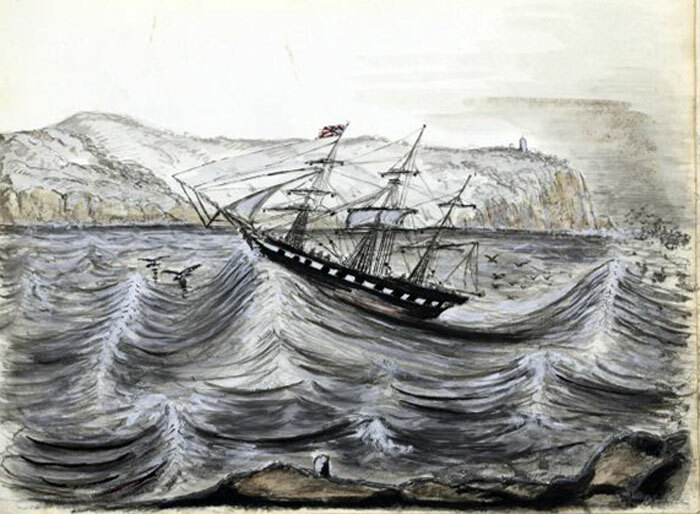 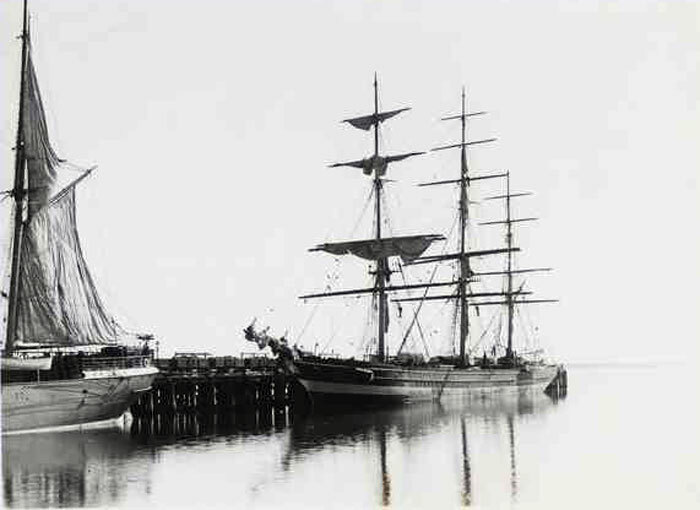 David MacGregor's "Merchant Sailing Ships1850-1875"
Potographer Allan C. Green State Library of Victoria (Accession No. 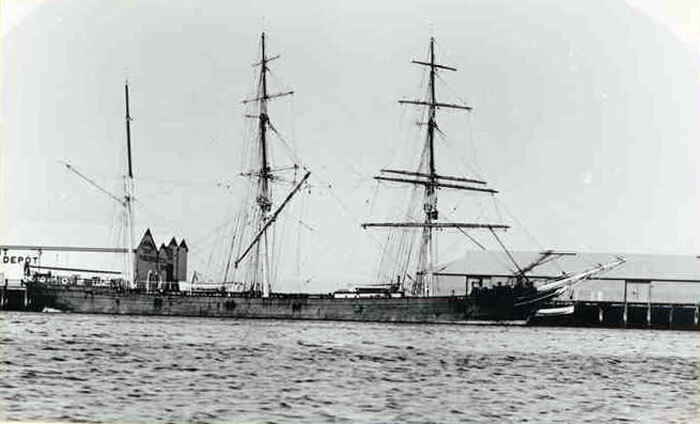 H91.108/1453). 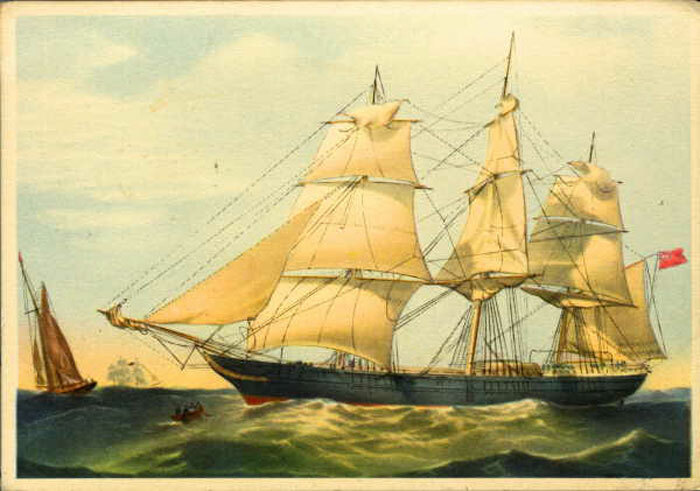 Lithograph by T.G. 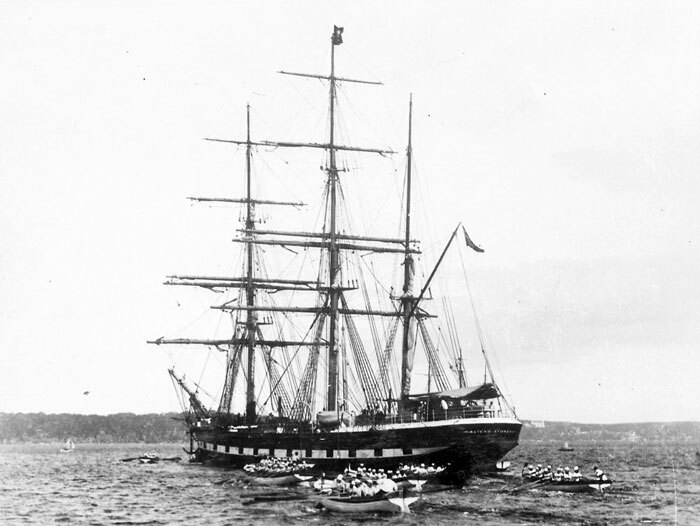 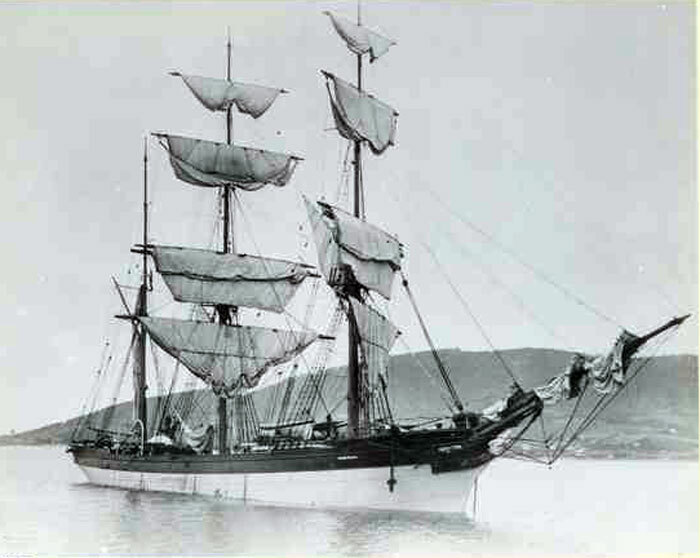 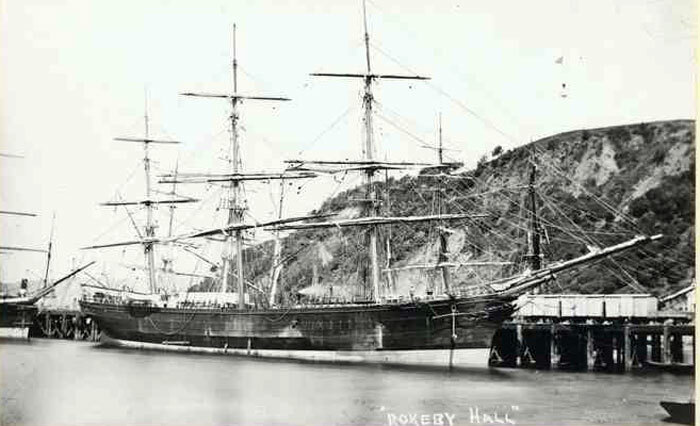 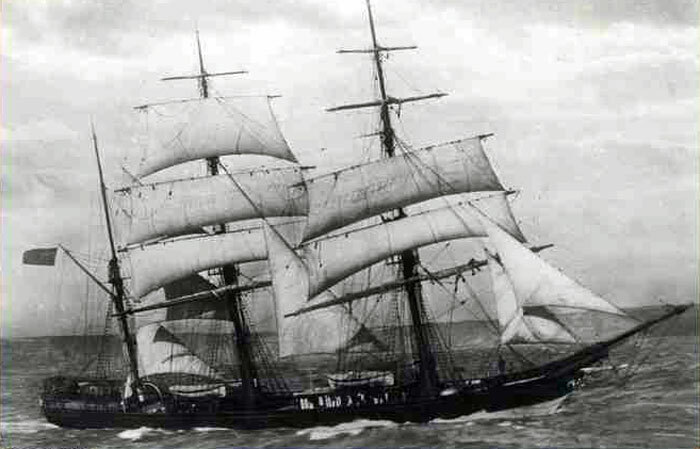 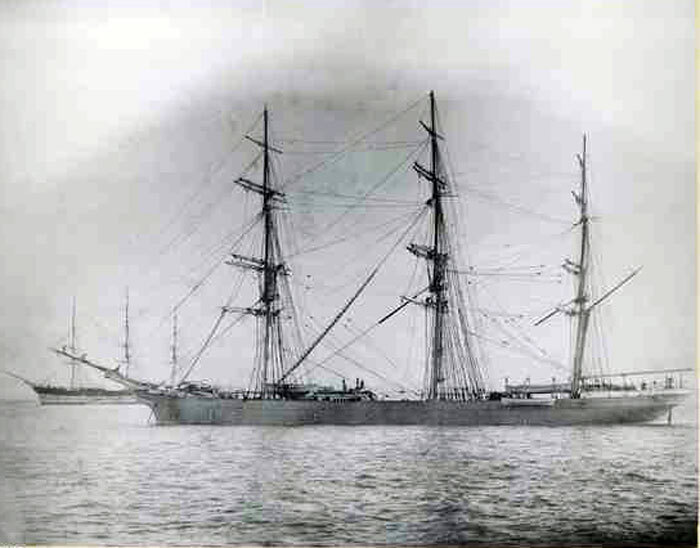 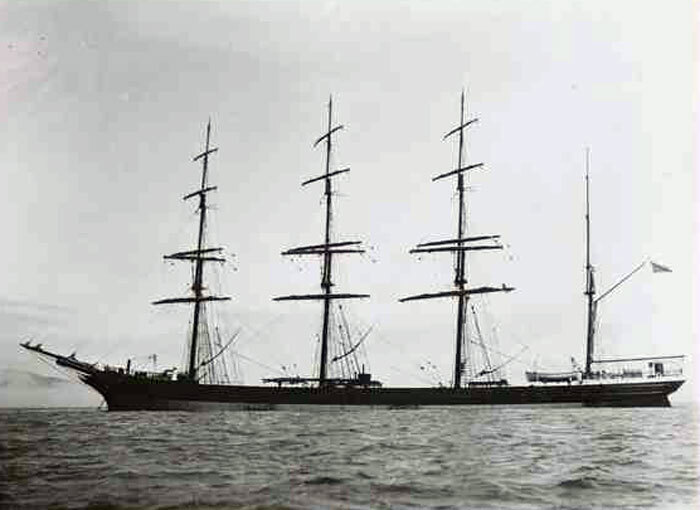 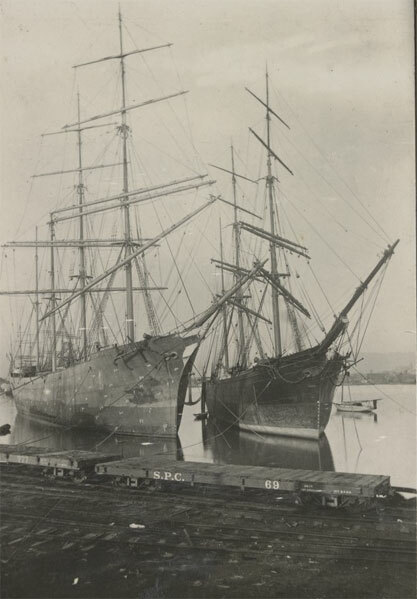 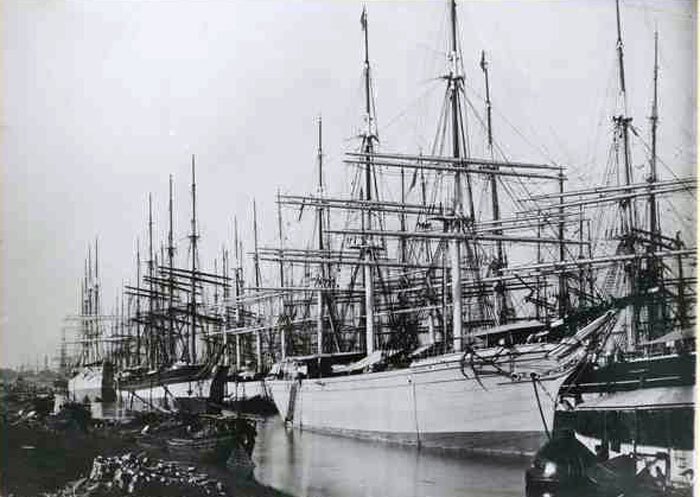 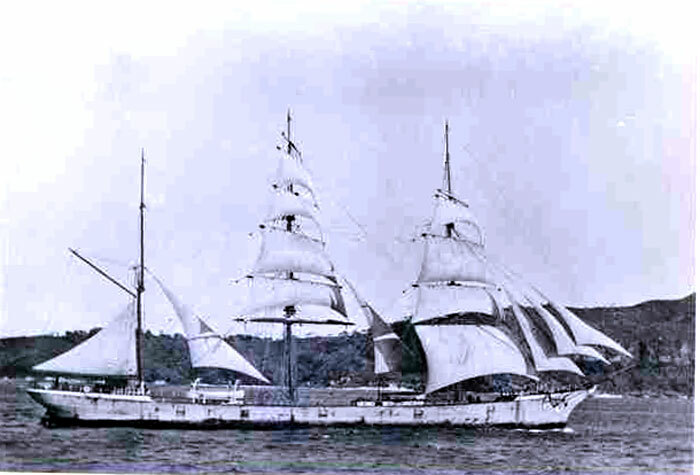 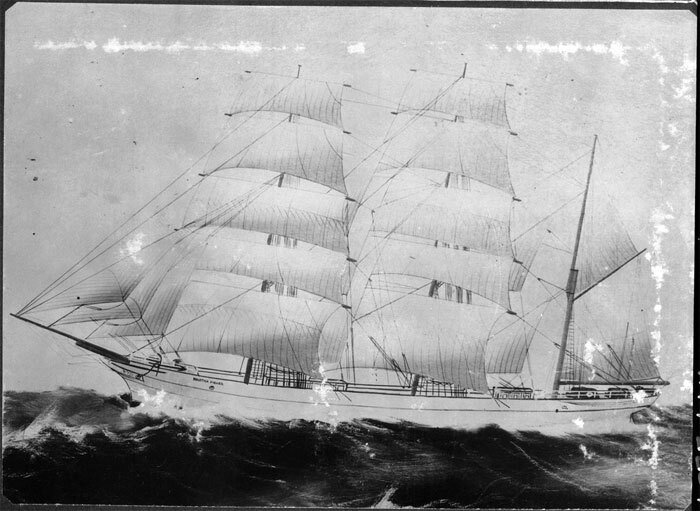 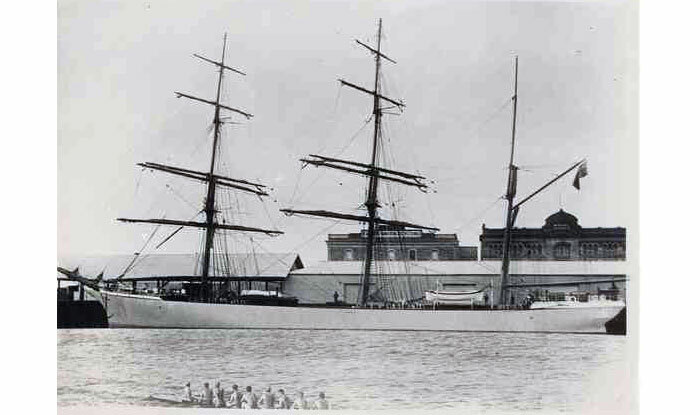 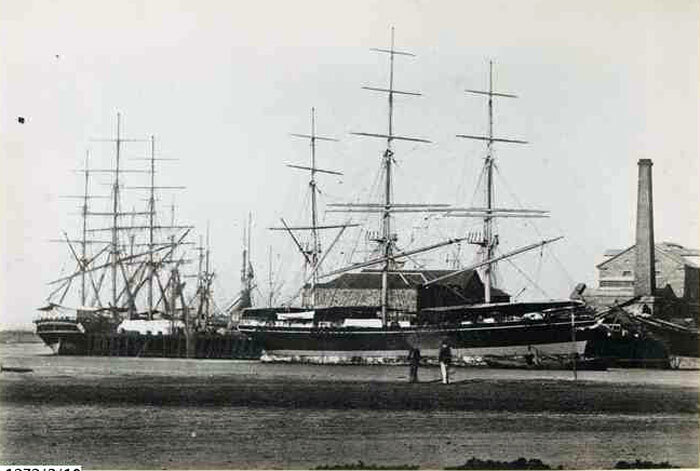 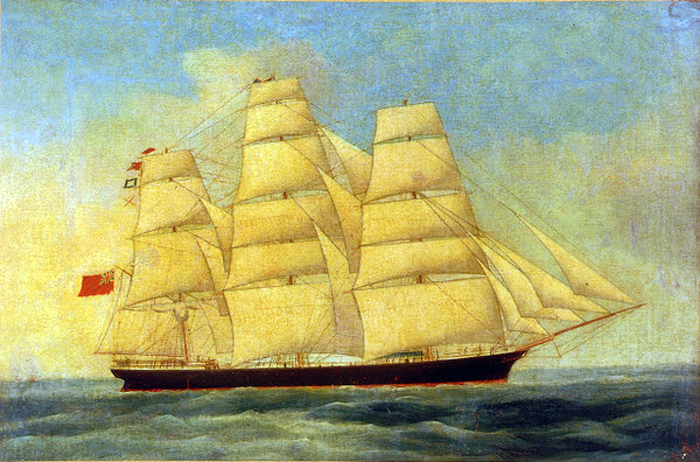 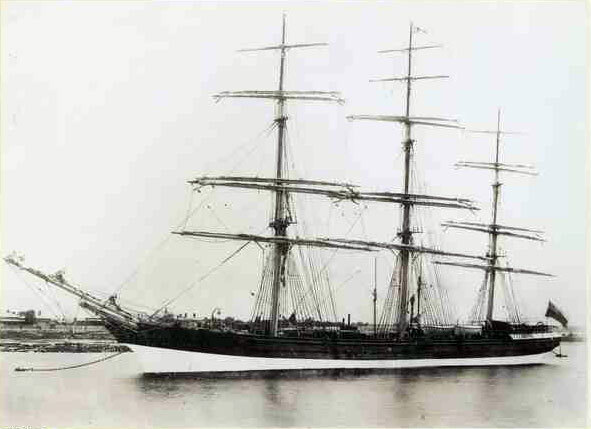 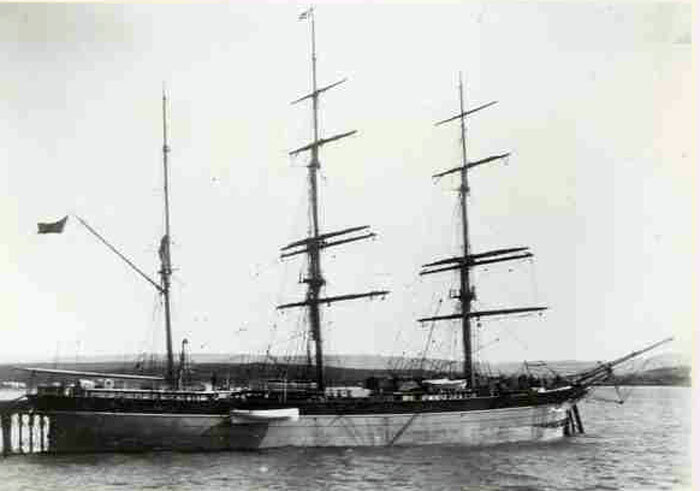 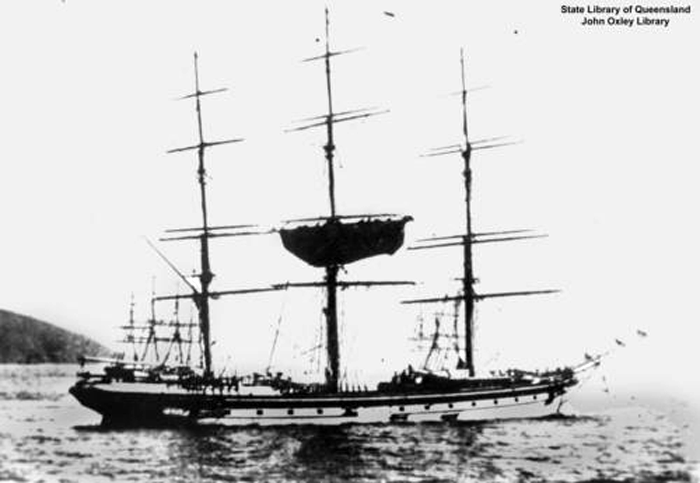 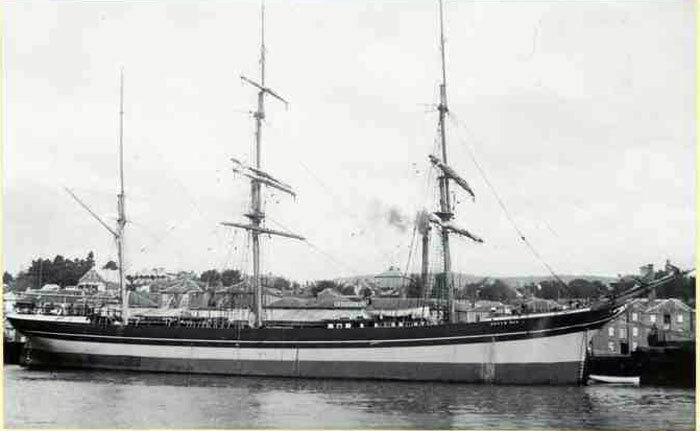 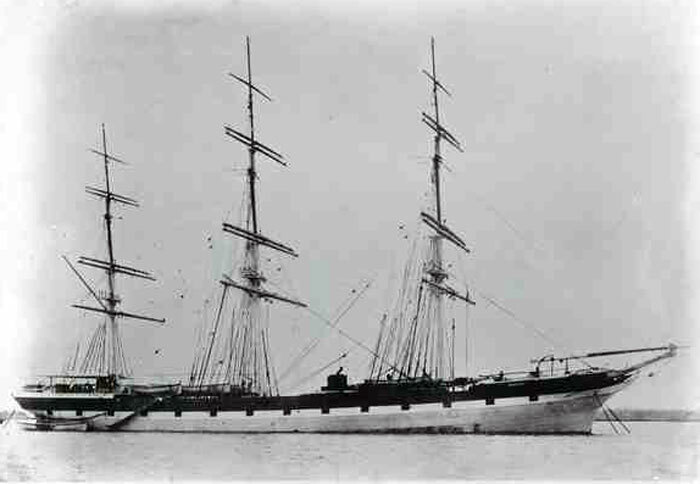 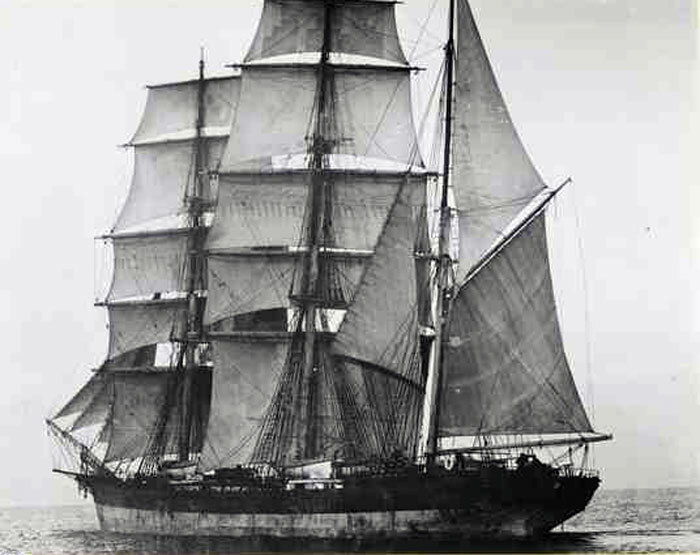 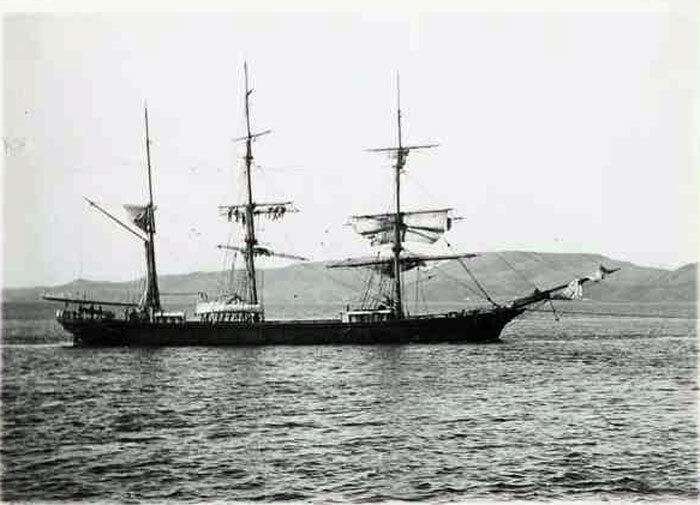 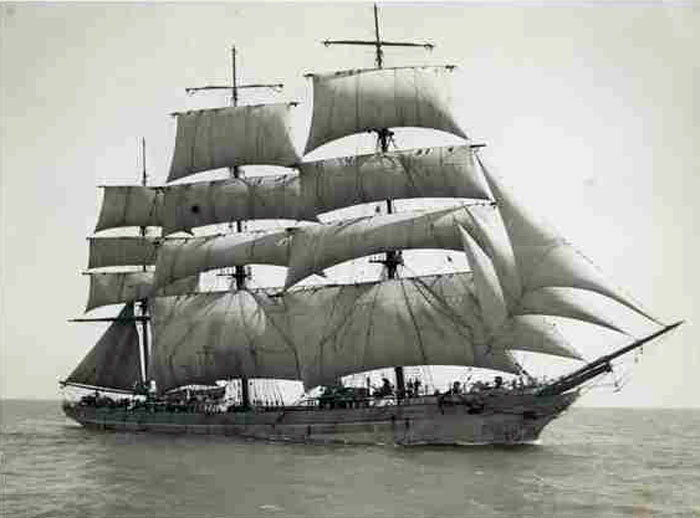 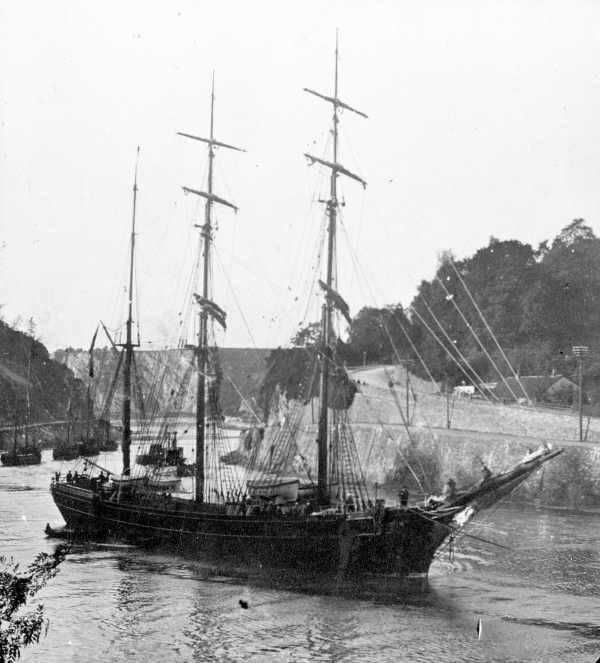 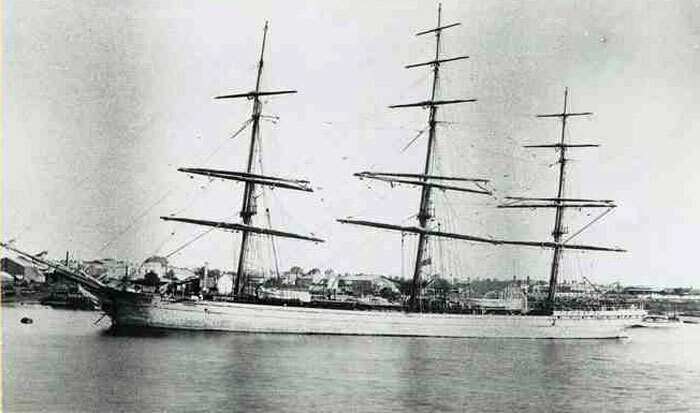 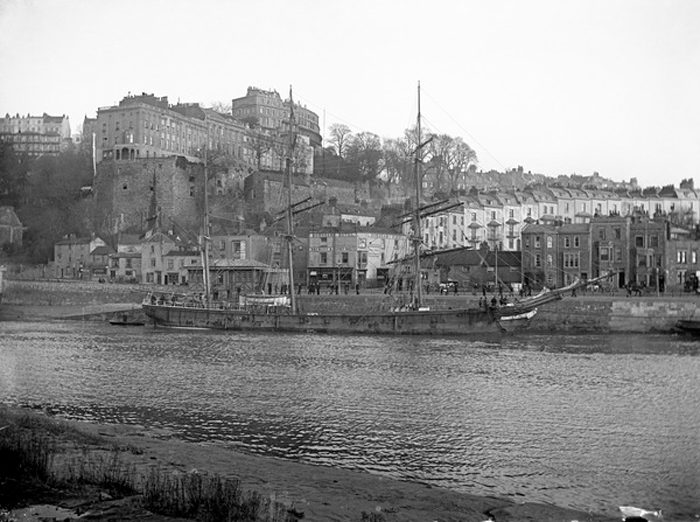 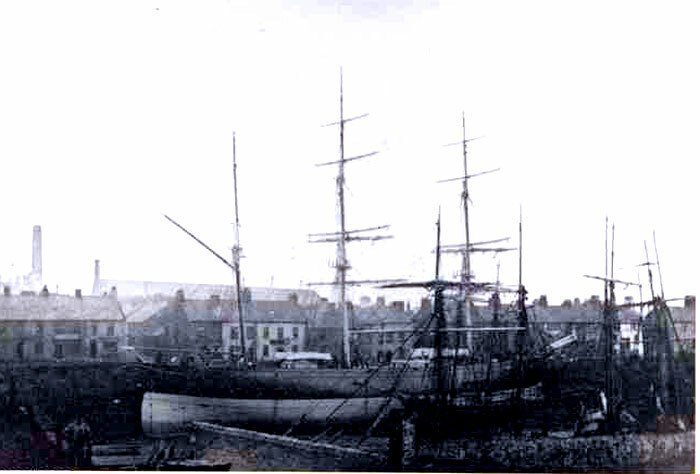 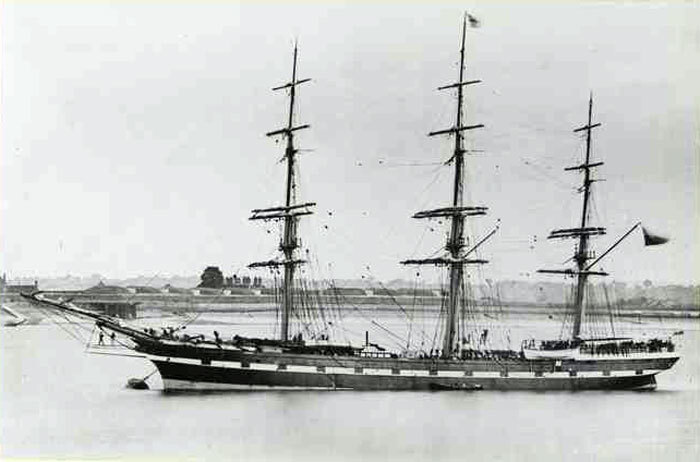 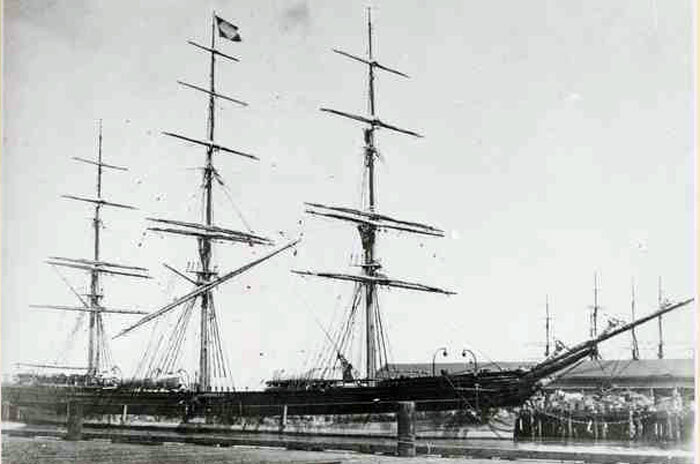 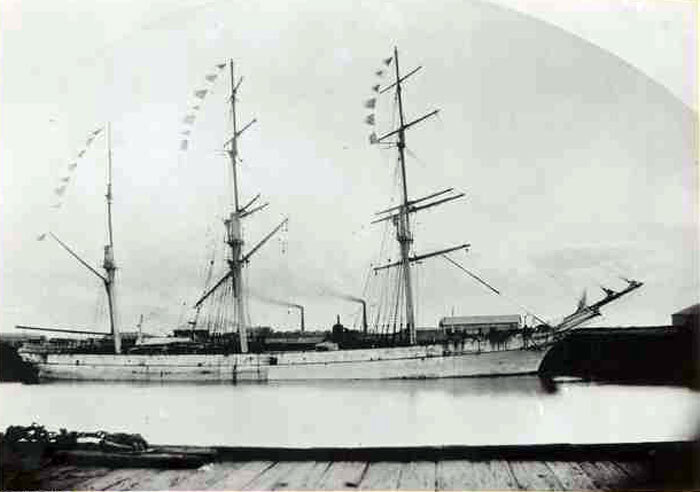 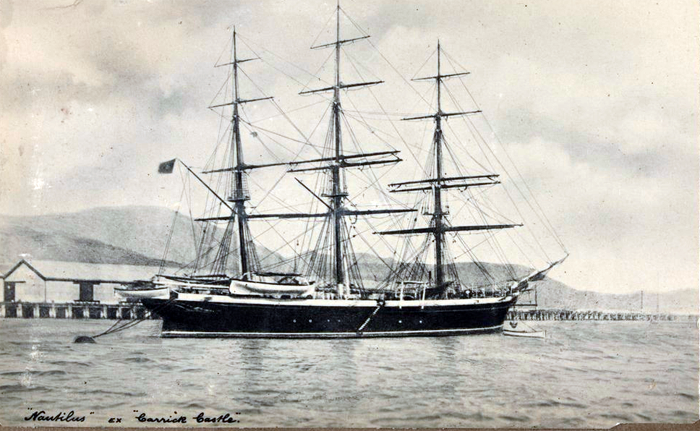 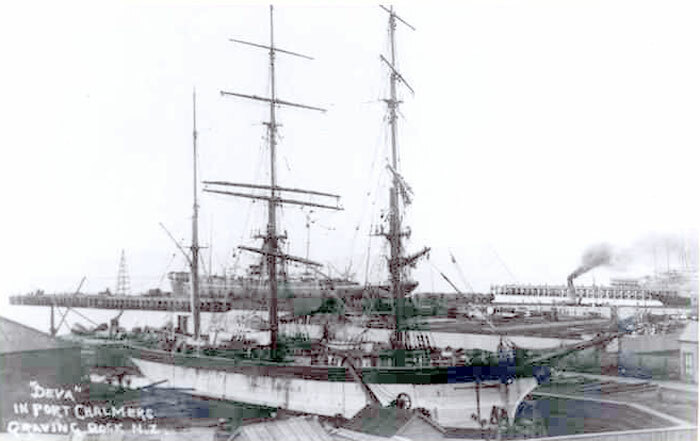 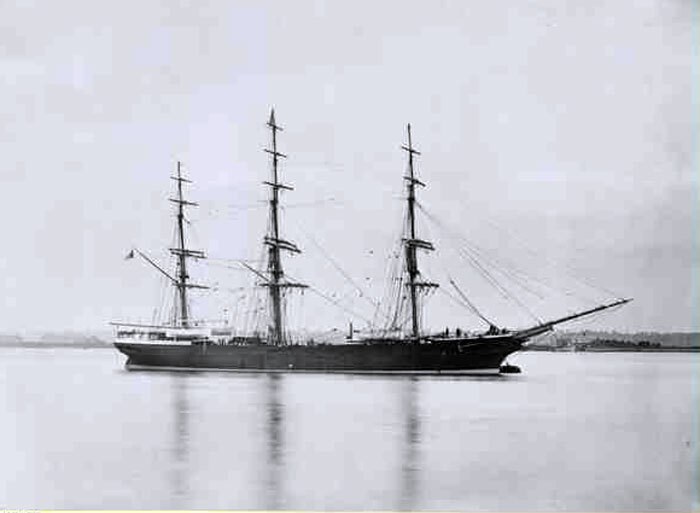 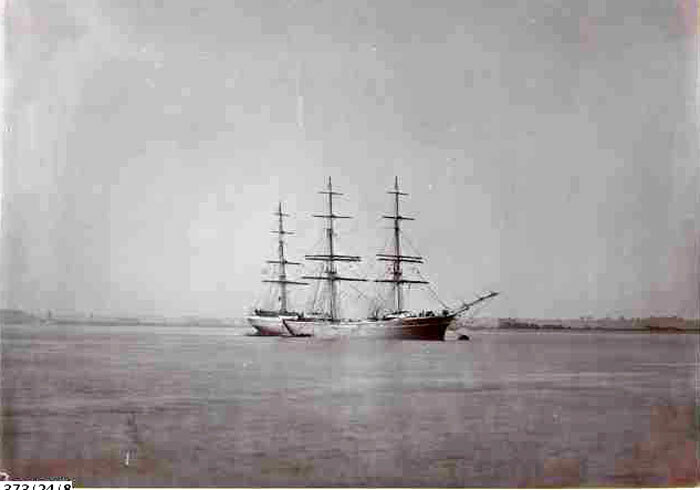 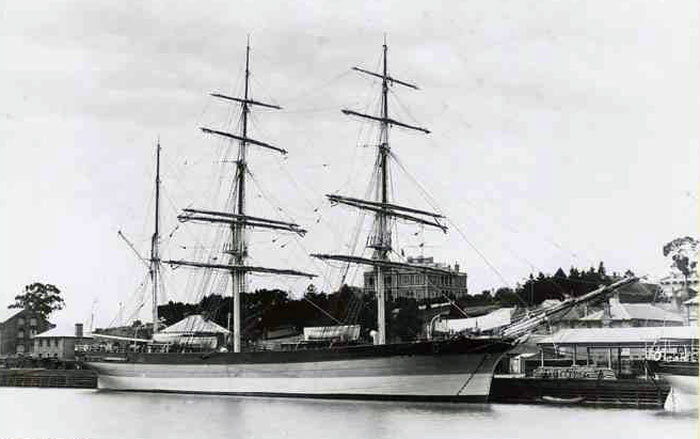 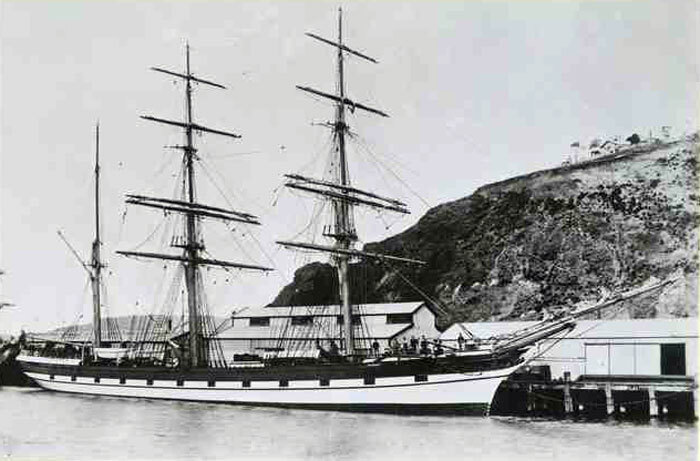 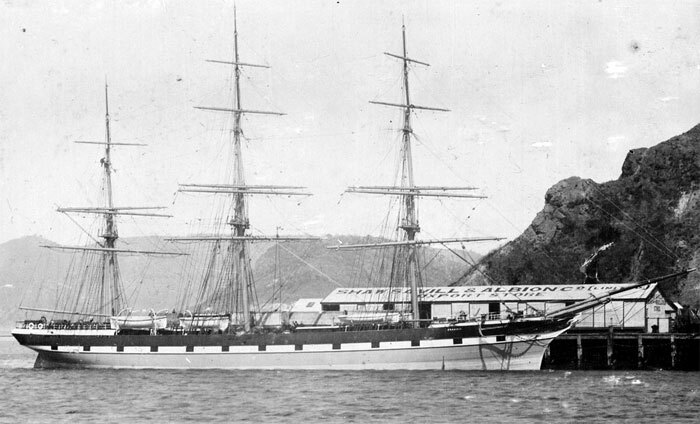 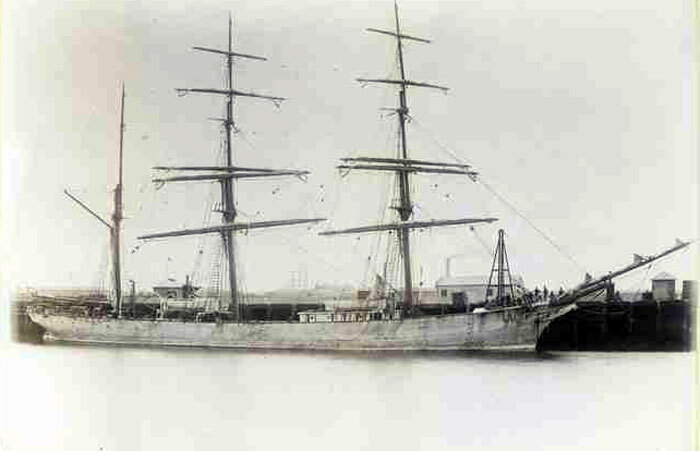 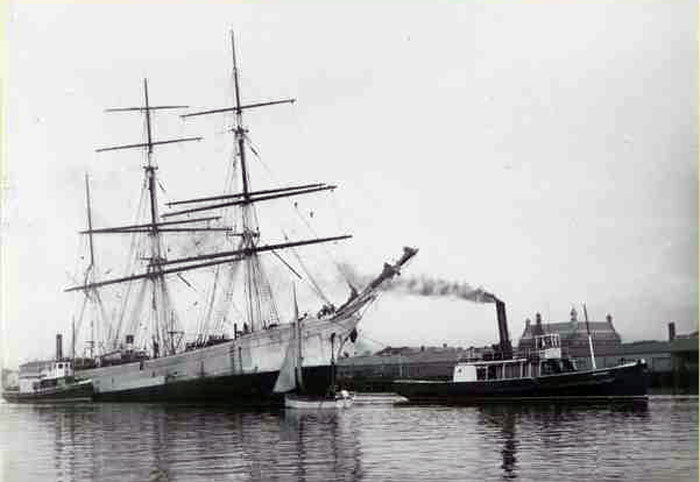 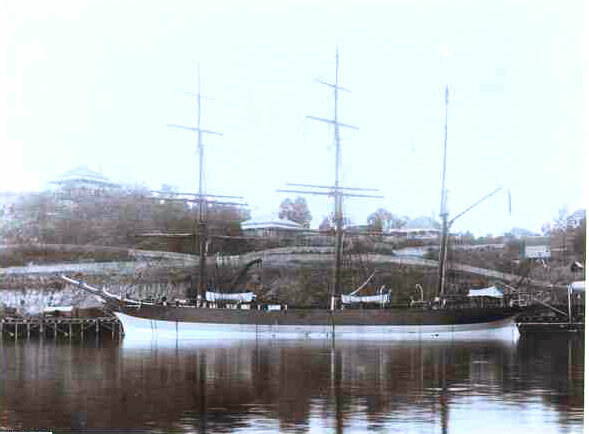 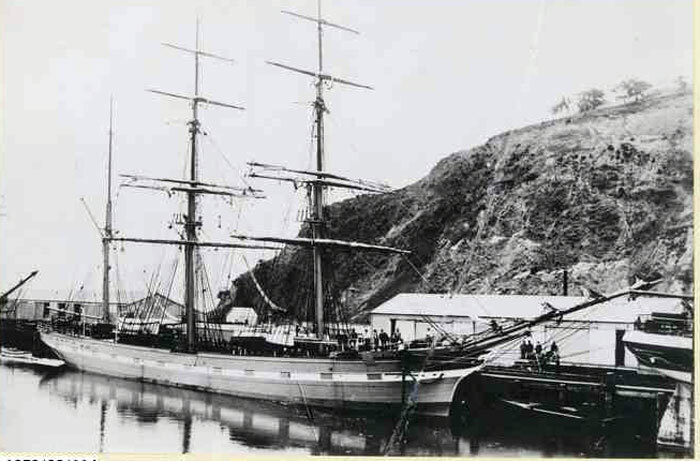 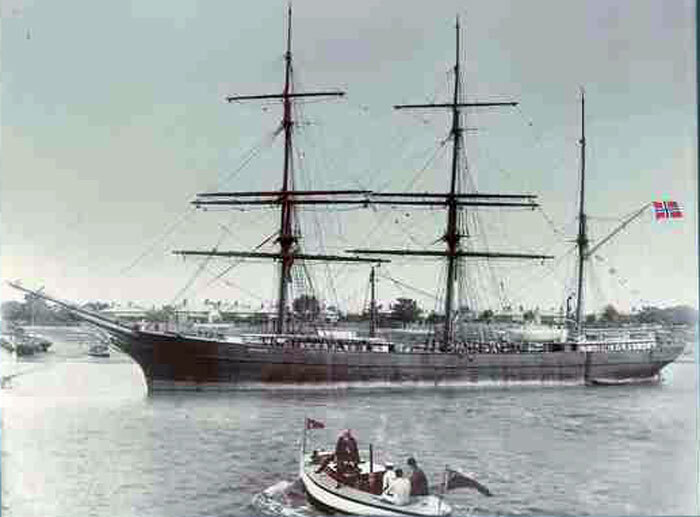 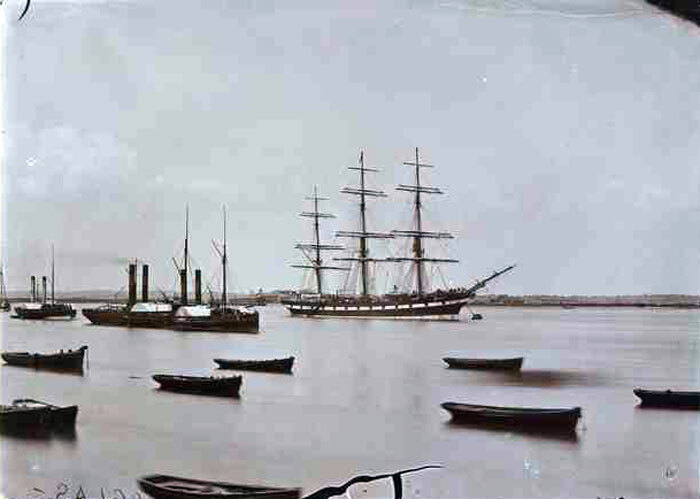 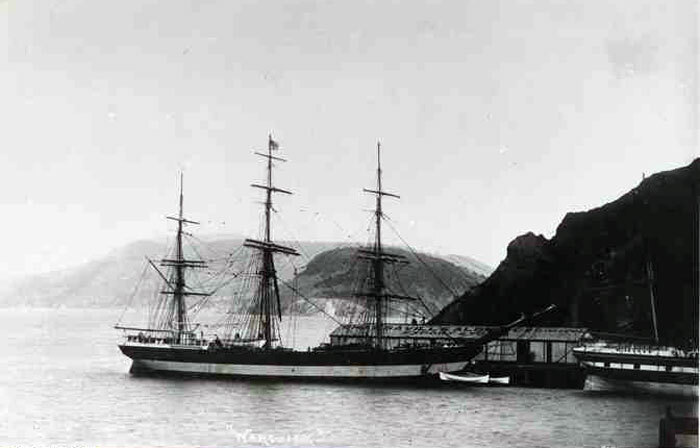 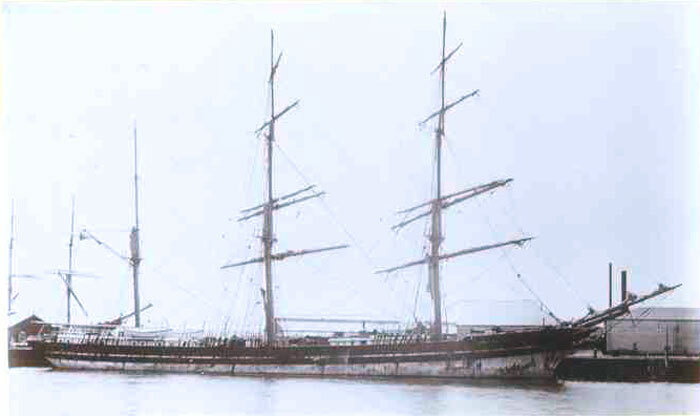 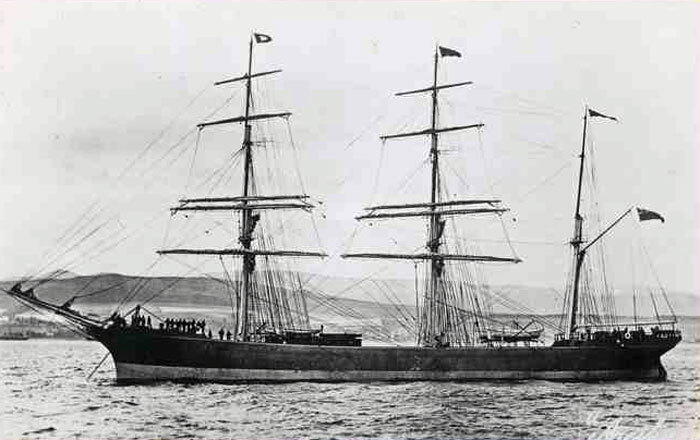 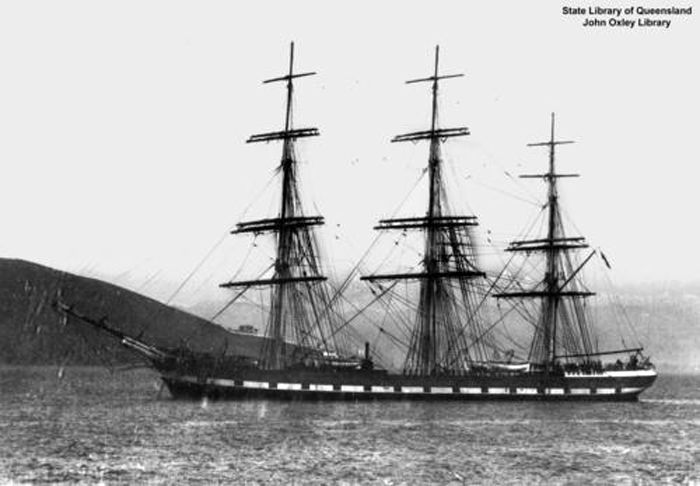 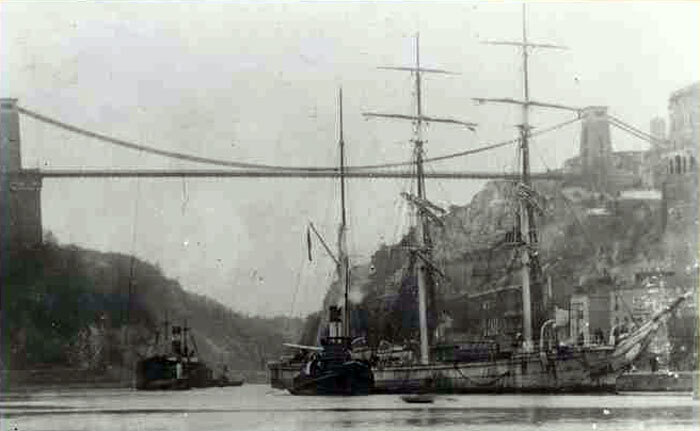 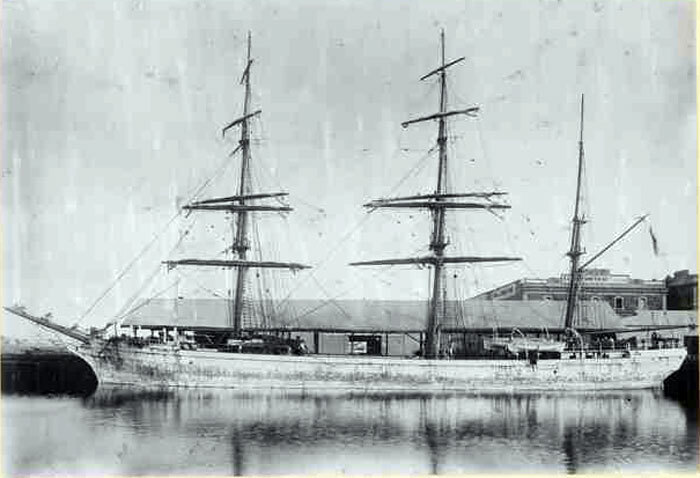 Dutton Frank C. Bowen's "The Golden Age of Sail"
LEUCADIA - 896t PC Aug 1870 Mearns: see Alex Nicol & Co (NI). 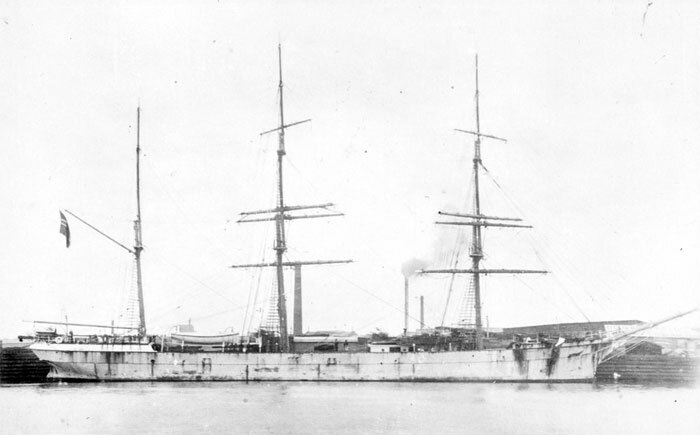 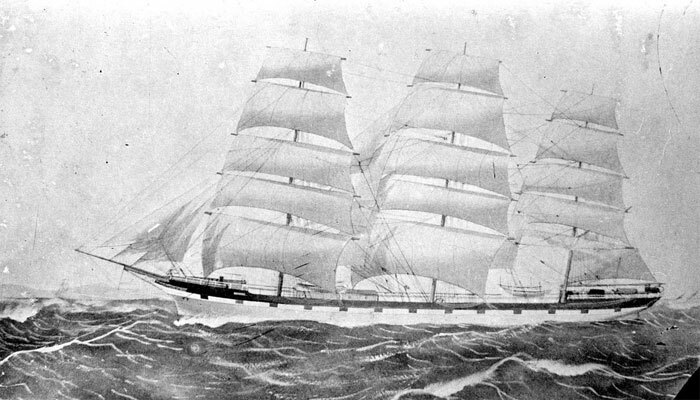 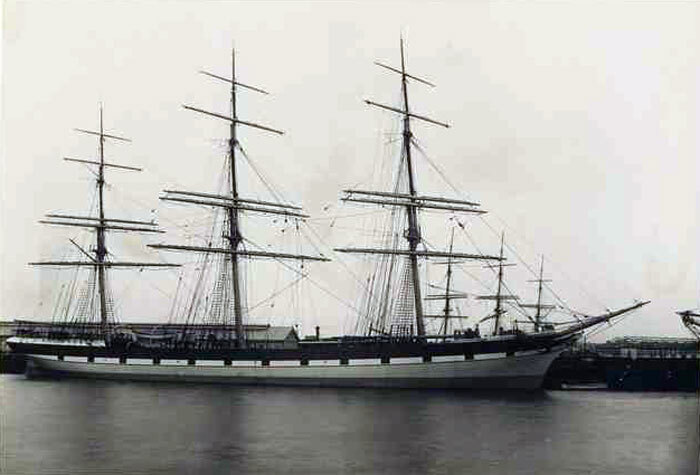 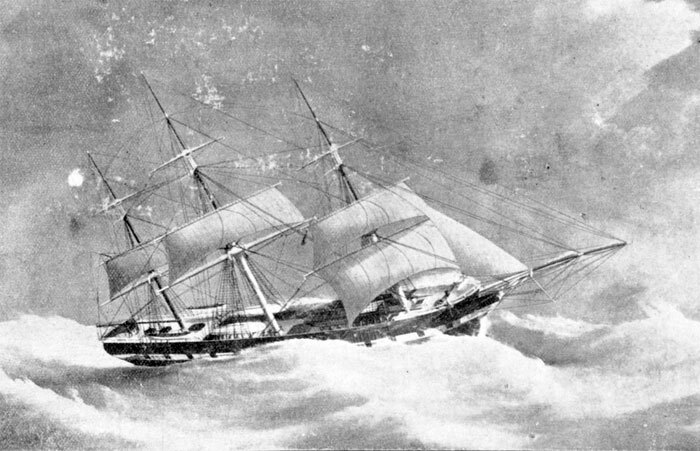 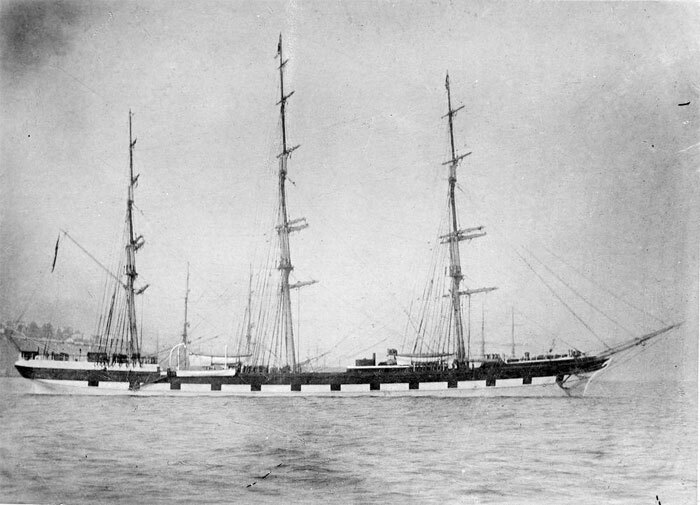 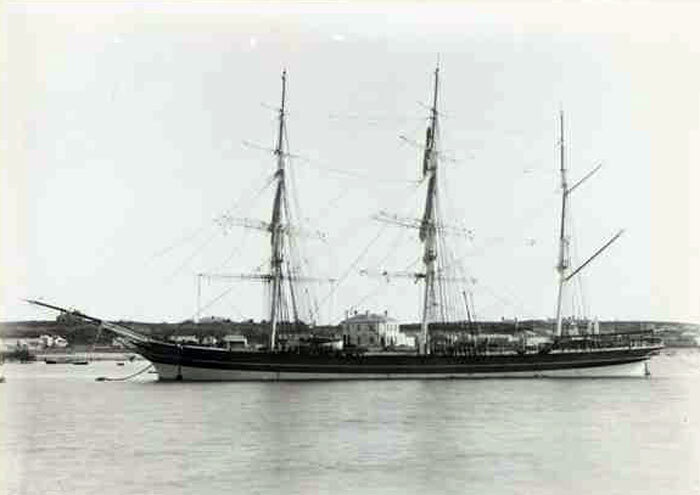 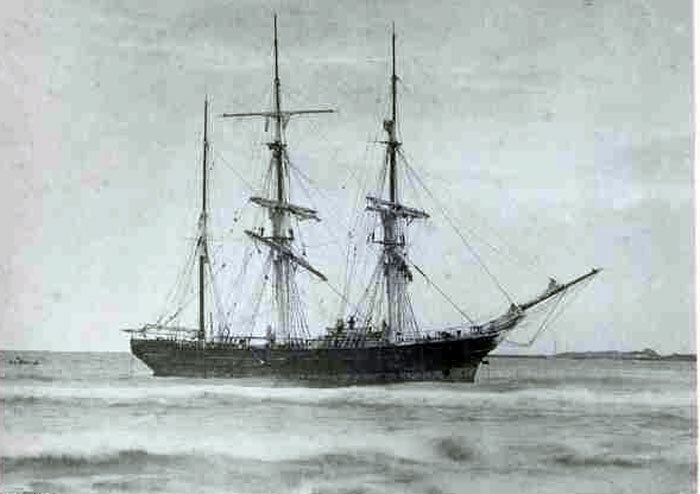 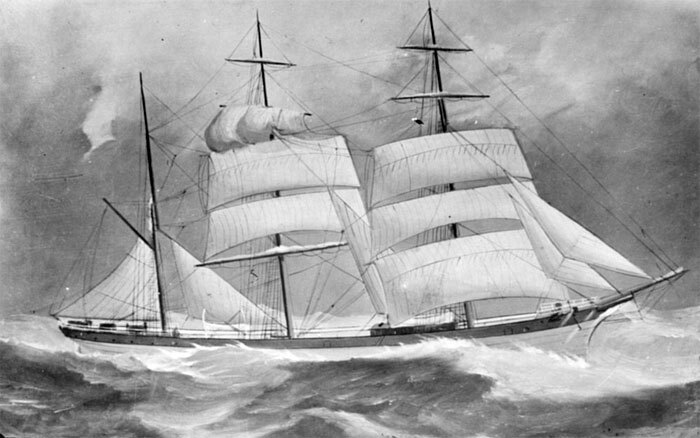 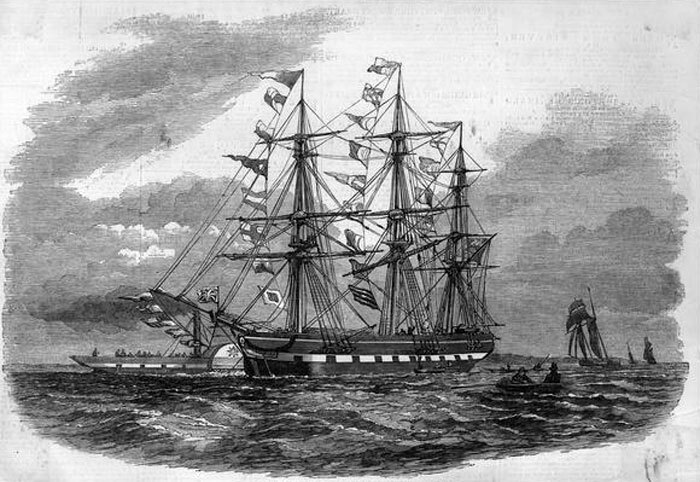 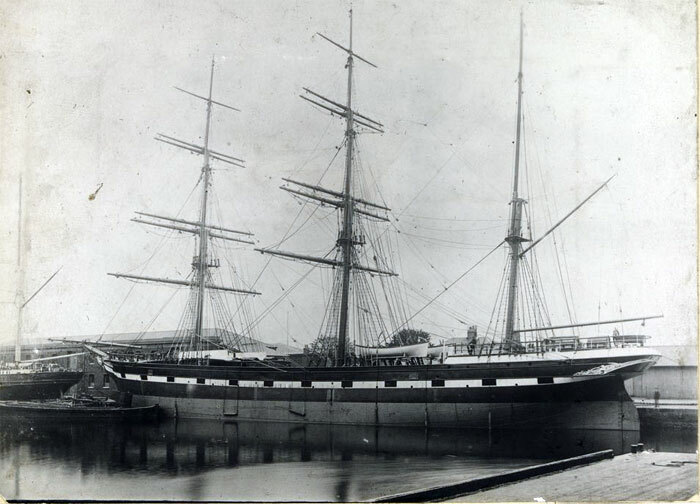 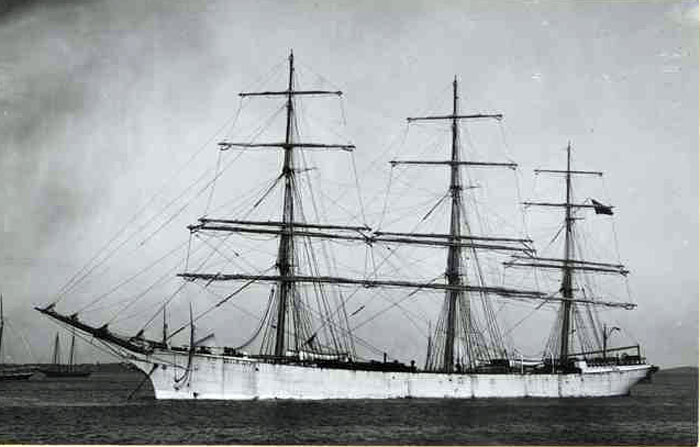 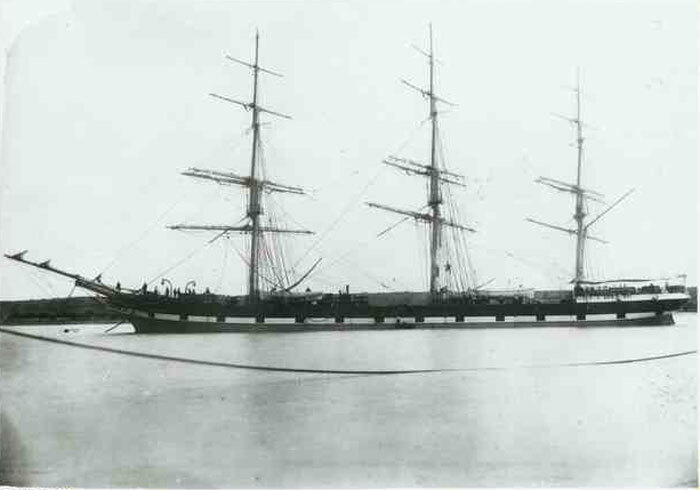 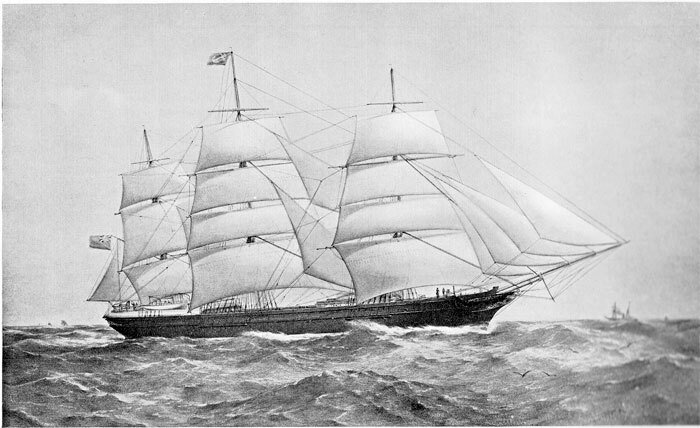 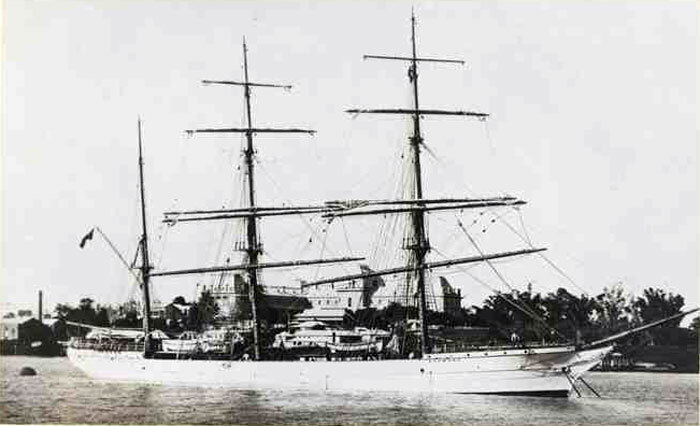 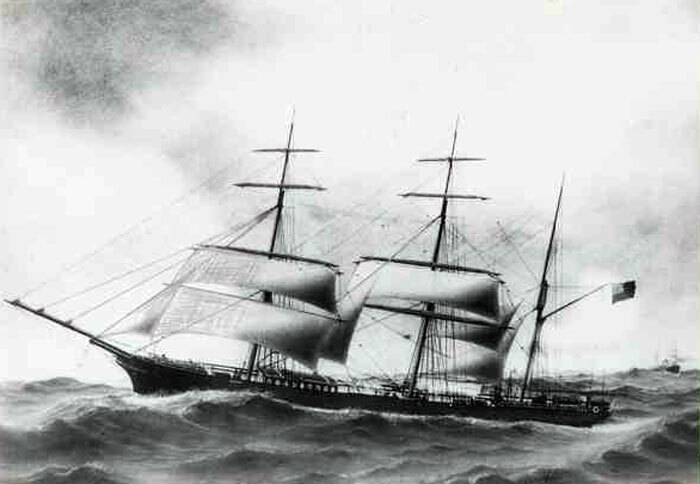 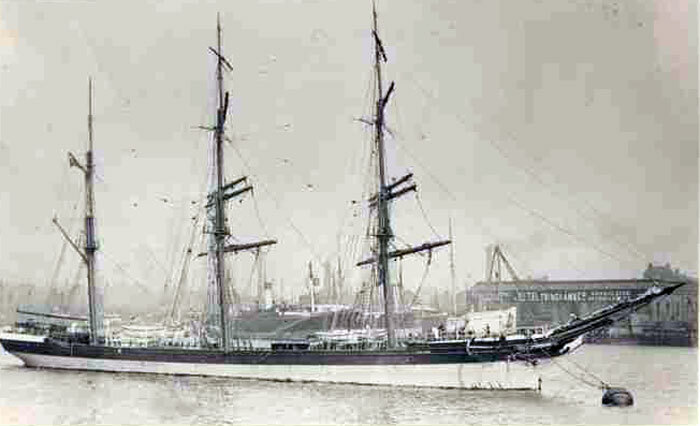 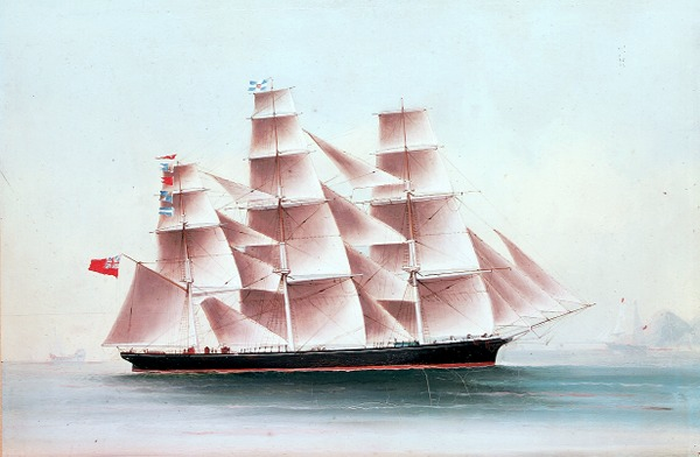 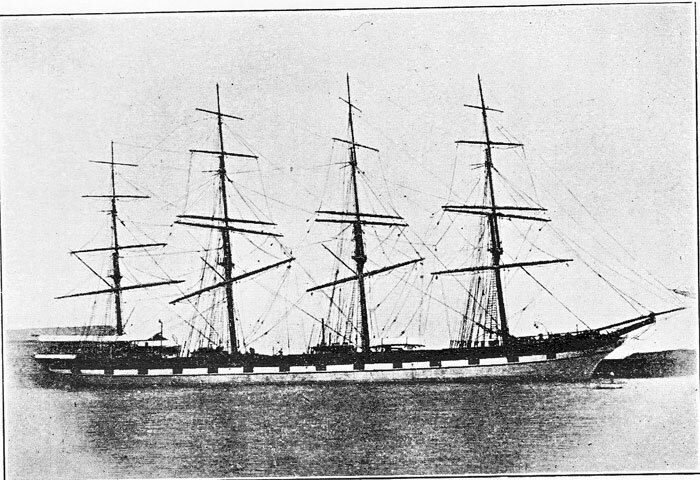 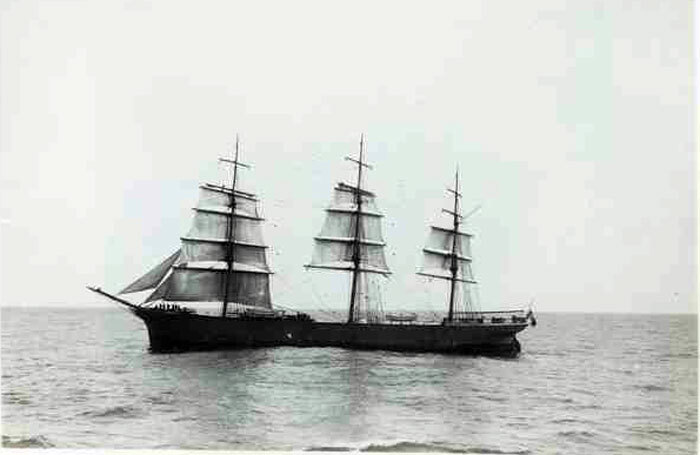 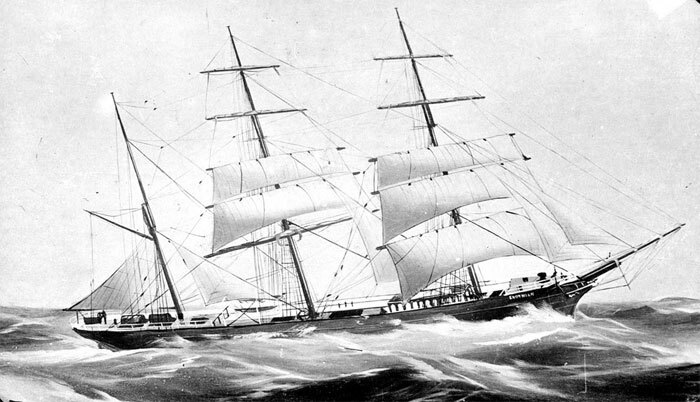 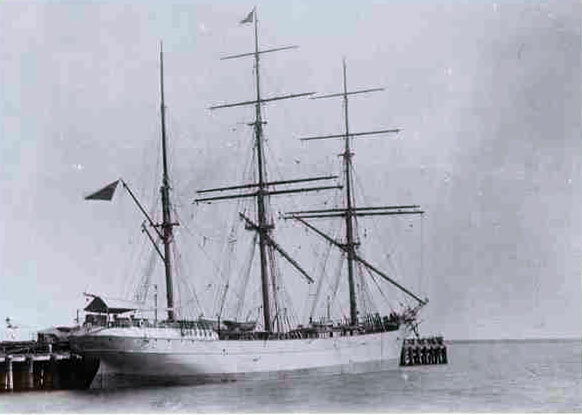 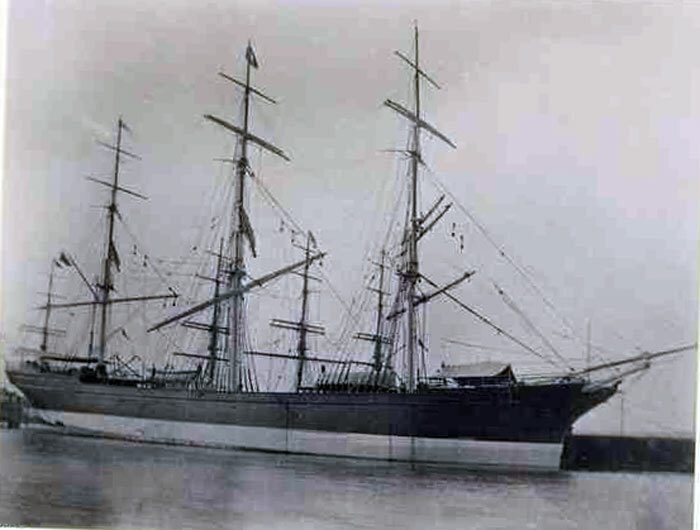 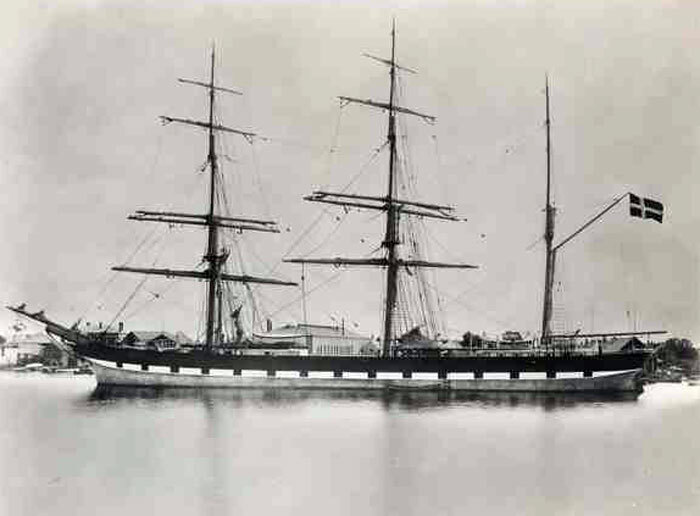 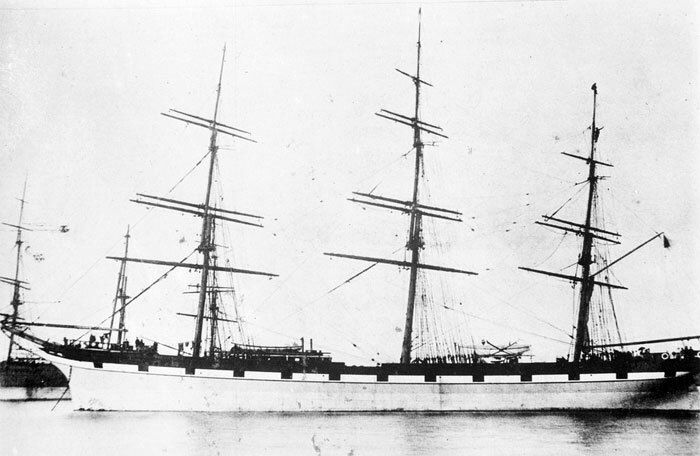 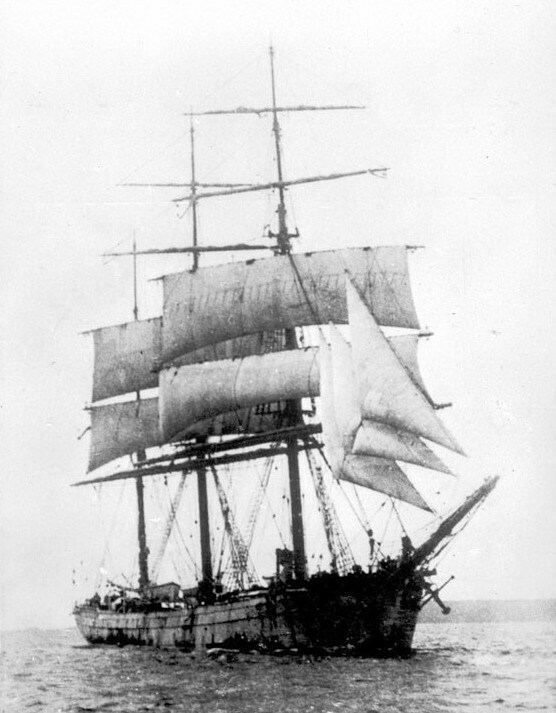 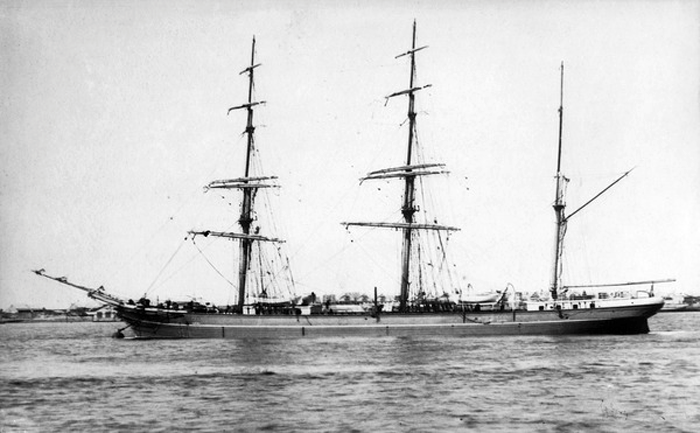 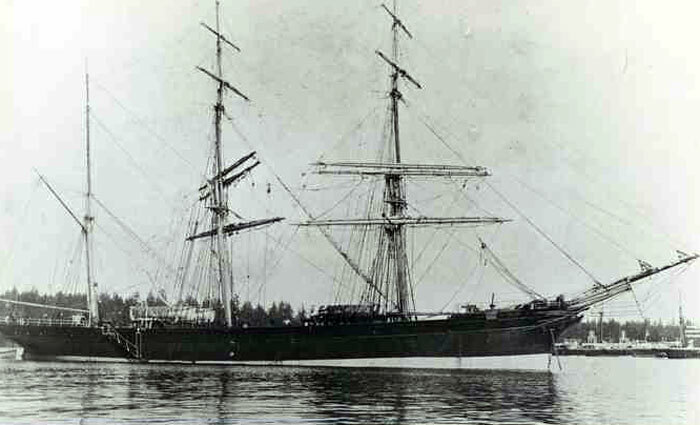 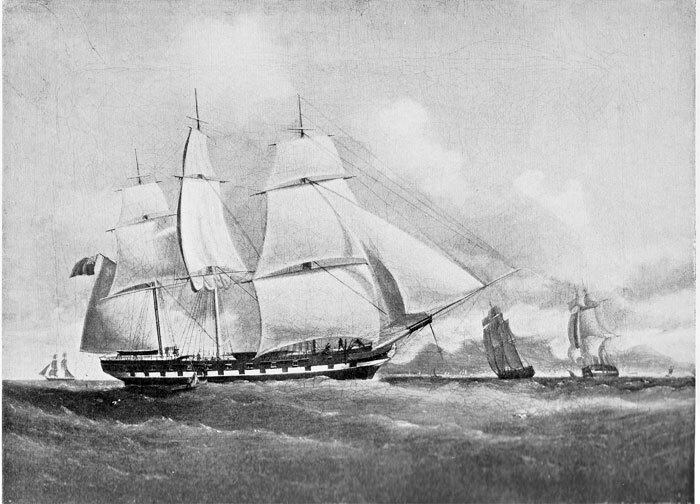 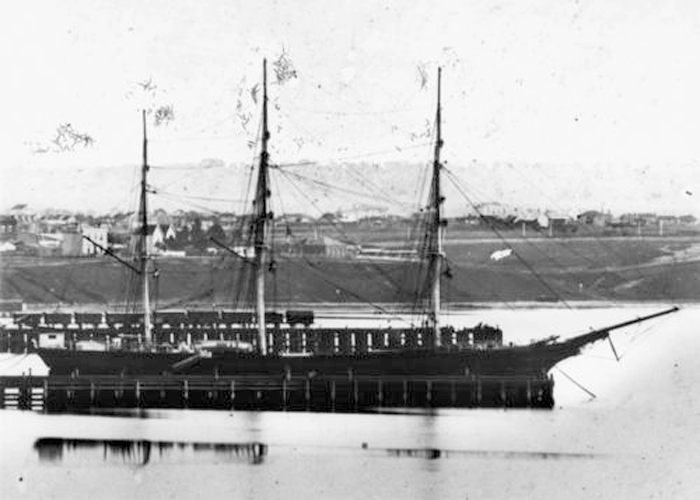 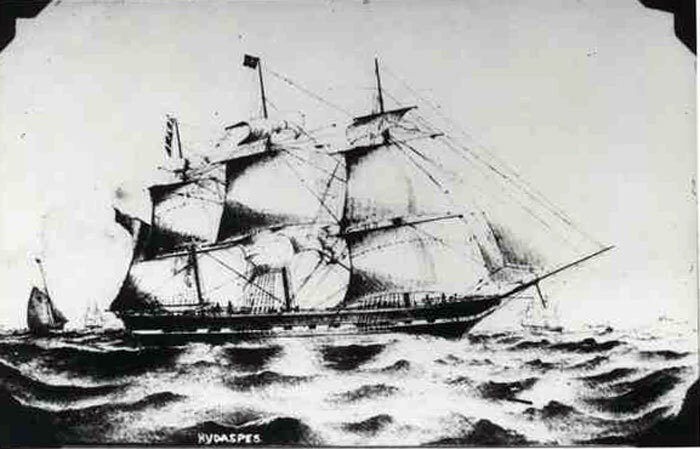 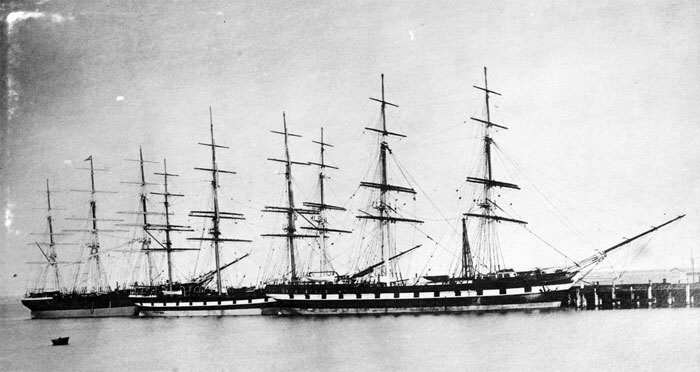 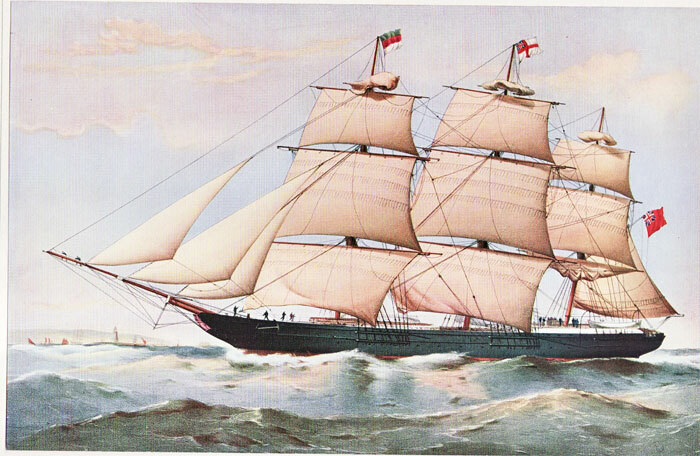 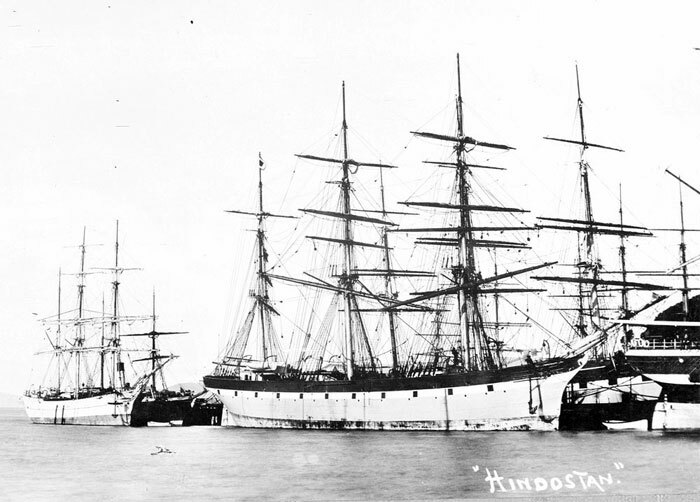 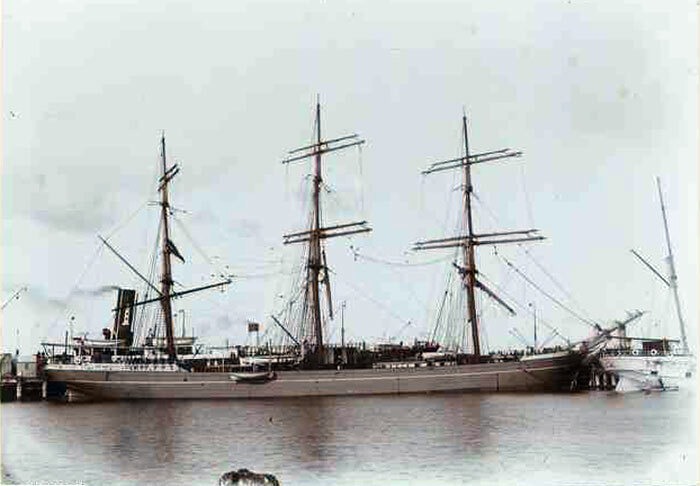 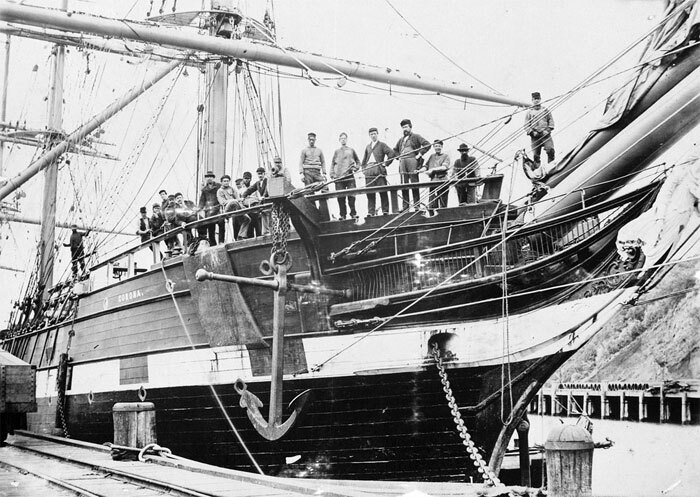 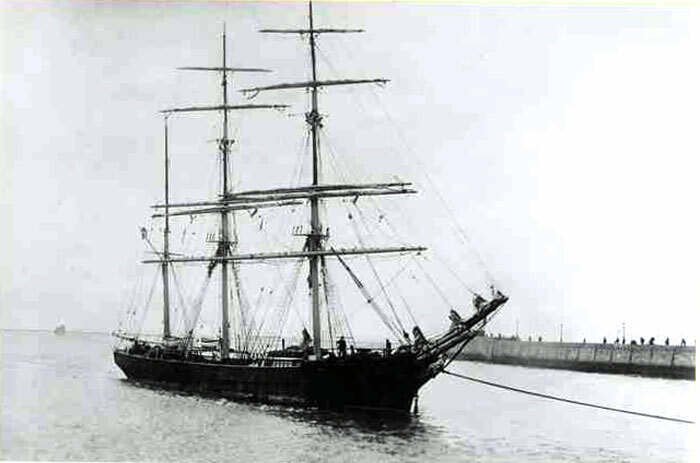 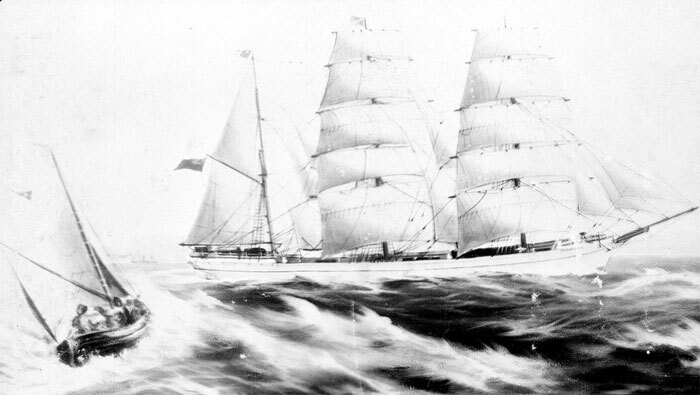 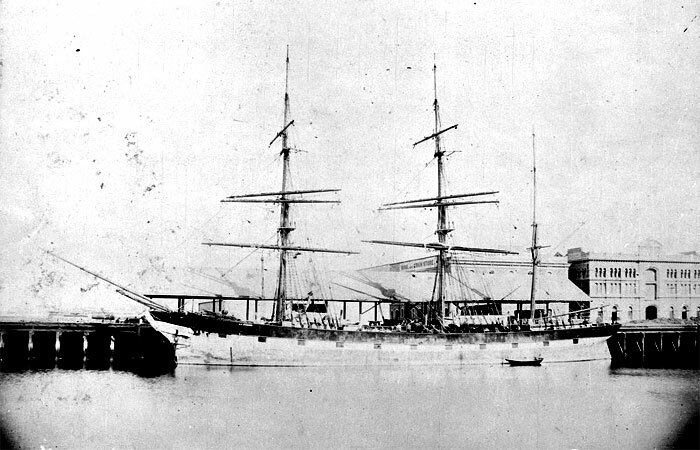 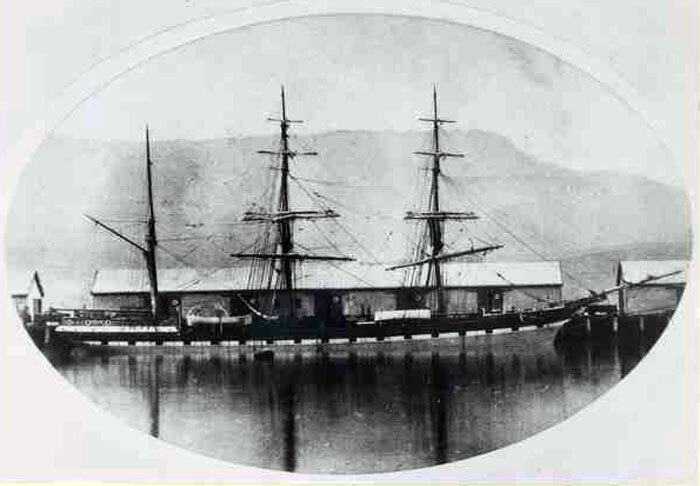 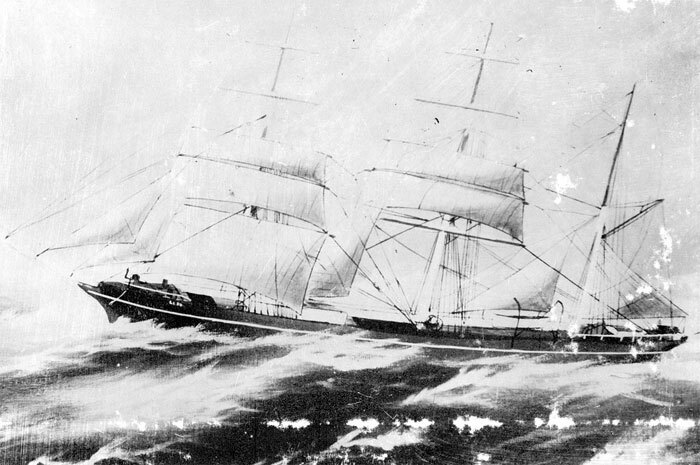 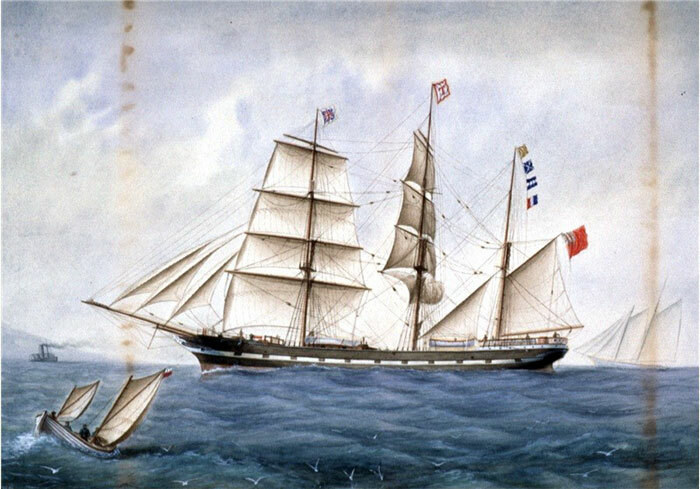 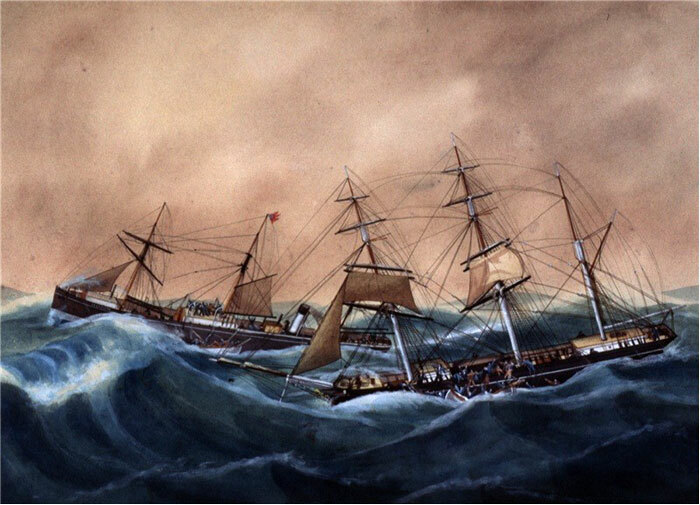 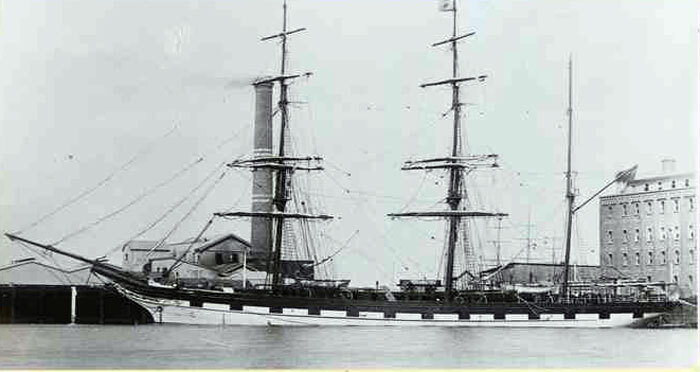 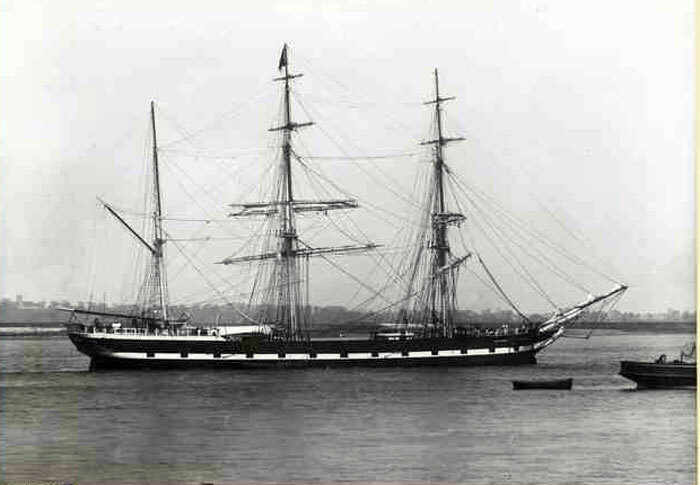 MILTIADES – 1,452t A Jul 1874 Perritt: see Aberdeen White Star (AW). 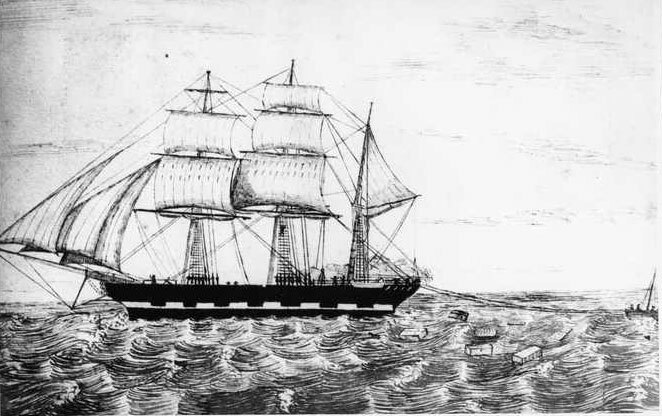 From a lithograph by T.G. 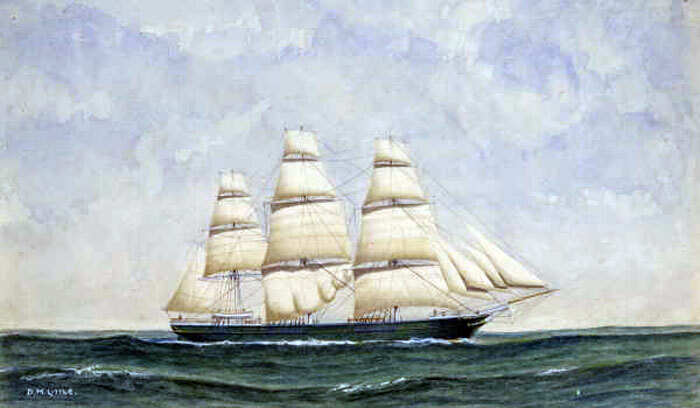 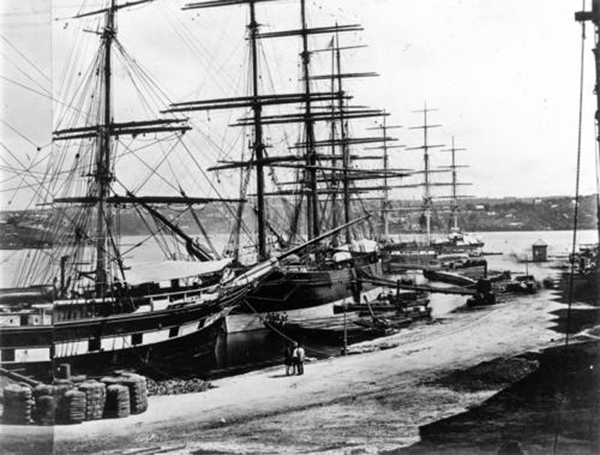 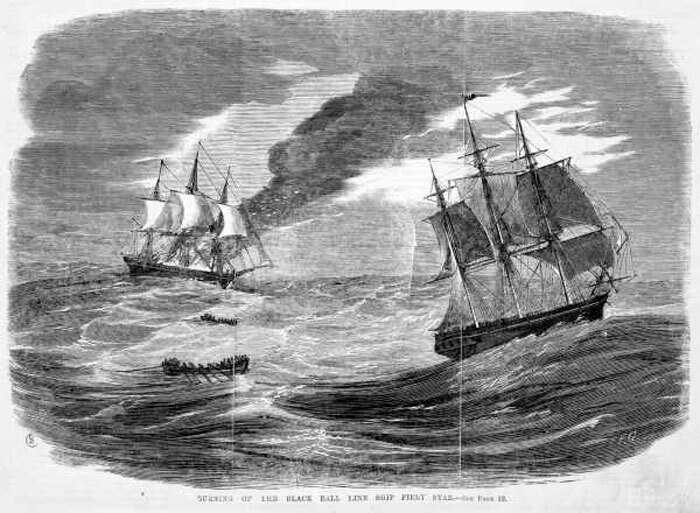 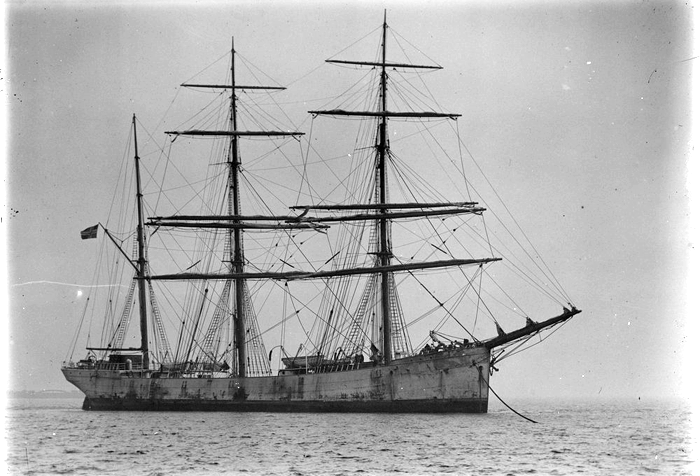 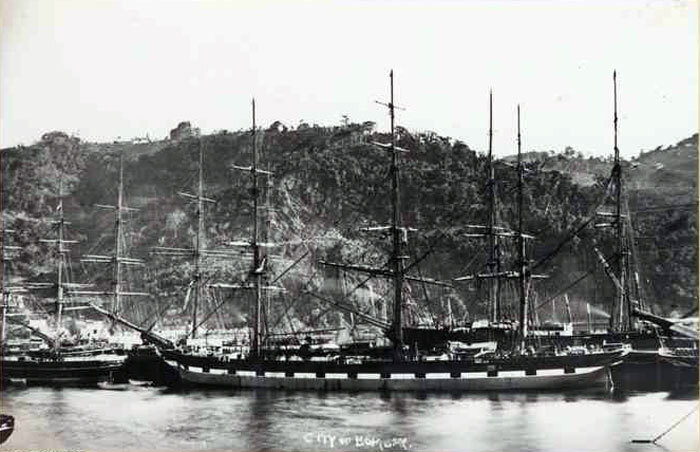 Dutton Frank C. Bowen's "The Golden Age of Sail"